50% more than the old 500mg. Ultimate Krill Oil is derived from widely grown Antarctic Krill processed without the application of any undesirable solvents, Krill provides a unique combination of four supplemental compounds: Omega 3 fatty acids (EPA/DHA), Vitamin A, Vitamin E and Astaxanthin, Astaxanthin is the red pigment present in krill and is a powerful antioxidant. An all round supplment providing excellent health benefits. No artificial flavorings, colouring and preservatives added. 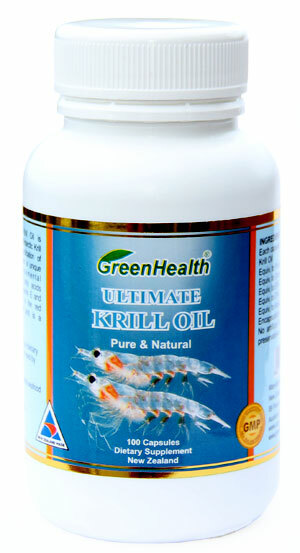 With more and more people becoming health conscious and adding natural supplements to their diets, krill oil has become increasingly popular for numerous reasons. To better understand the benefits of krill oil, we need first to know what a krill is. Krill are shrimp-like crustaceans that are approximately 1 to 6 centimeters long. They live is the ocean, where they feed mainly on phytoplankton. They're near the bottom of the food chain and are eaten by whales, seals, penguins, squid and fish. Before krill oil became popular, krill were harvested to feed aquatic life in aquariums, bait, and food called okiami for the Japanese. Krill oil, the oil that's found naturally in krill, is extracted and sold as a nutritional supplement. Krill oil contains omega-3 fatty acids, which is the main reason it's becoming popular as a nutritional supplement. People use krill oil for the same reasons they use fish oil, flax oil or other omega-3 fatty acids. Unlike fish oil, krill oil doesn't cause fishy burps or an aftertaste, a common side effect of fish oil. When compared to fish oil, krill oil was discovered to be forty-eight times more potent. Also, krill oil contains higher amounts of astaxanthin than fish oil. 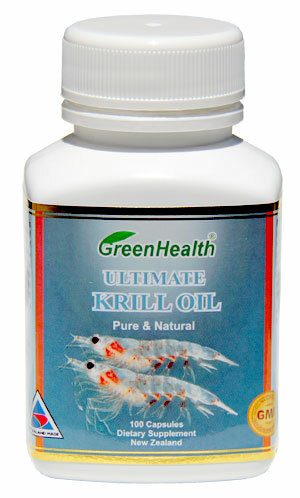 To date there are very few negative side effects associated with krill oil. The biggest precaution is issued to persons suffering from shell-fish allergies. Remember that krill are a crustacean and those that suffer allergies should definitely consult with their physician before taking krill oil.